Ask anyone who’s ever worked in the public sector: With a never-ending stream of taxpayer money and no competition in sight, governments are a breeding ground for stupid ideas. In fact, coming up with a list of all the idiocy that governments have inflicted on the world would be an impossible task, so let’s just narrow it down to five really stupid government ideas. But in 2011, a group of Congress critters tried a very different approach: The Reduce America’s Debt Now Act of 2011 would allow employees to ask their employer to deduct a portion of their salary each month to help pay down the national debt. Of course, this would all be carefully presided over by the Treasury, which would be obligated under 31 USC § 3113 to put the money toward paying down the government debt…because the government can clearly be trusted to uphold the letter of the law. People voluntarily paying more taxes because the government tells them it’ll help pay down the national debt? That’s stupid enough. But here’s the kicker: these voluntary donations to the government trough wouldn’t even be tax deductible. Those poor souls who fell for the scam would in fact be paying taxes on their gift to the Government Sachs workers over at the Treasury. The best thing that can be said about this remarkably stupid idea is that it hasn’t been implemented…yet. The bill was shunted off into committee where it was never heard from again. But they actually did try voluntary taxes in Norway this year. In June, the government bought its own propaganda and started allowing all those citizens who just love paying their theft the chance to pay even more! The result? The country of 5.3 million people raised a whopping…$1,325. We’ve all heard about wasteful government spending projects, but some of the pork, abuse and sheer stupidity that gets slipped into funding bills and research grants is beyond comprehension. Since 2010, the National Institutes of Health has been providing an average of $175,000 a year to a researcher at the University of Kentucky to research the mating habits of Japanese quail…while high on cocaine. Thankfully we are assured that this very serious research is all vitally important for understanding risky sexual behavior in general. How about the $331,000 National Science Foundation grant to study how likely “hangry” spouses were to stab a voodoo doll of their partner with pins? (Money quote from rival researchers: “it might be a big leap to interpret the results with voodoo dolls as indicating risk for actual physical aggression against a spouse.”) But don’t worry, the money went to a good place: a previous Ig Nobel Prize recipient. After all, where would the world be without government-funded studies of water pipe tobacco smoking among university students? No, that isn’t a clever metaphor or witty bit of word play. In 1958 the US Air Force approached researchers at the Armour Research Foundation to look into the feasibility of literally nuking the moon. Among the people consulted on the project: Carl Sagan. In fact, the entire plan was only brought to light in 1999 when Sagan’s biographers discovered he had (illegally) leaked details of the then-classified program on his application for a prestigious Berkeley graduate fellowship. Thankfully, the idea was shelved and the Dr. Strangeloves in the Air Force gave up on their dream of seeing a nuclear meteor shower. At least the Soviets weren’t stupid enough to come up with such a crazy idea, am I right? Oh, wait, they did. Their project was called E-4 and went along the lines of: “How can we prove we went to the moon? I know! Let’s nuke it!” Luckily their plan, too, was shelved, when it was determined that in order for the world’s observatories to witness the explosion they’d have to be informed of it in advance, and no one could figure out how best to do that. Ever heard of the Tsar Tank? No? Well, there’s a good reason for that. Although the name “Tsar Tank” (and even it’s nickname “The Bat”) brings to mind a ferocious, armor-plated, nuclear equipped fighting vehicle ready to inflict a world of hurt on all would-be opponents, the actual tank in question was just about the least intimidating thing ever to roll out on a battlefield. Built in WWI and described as a “monstrous backwards-facing tricycle,” this ‘tank’ was essentially a gun carriage on wheels. Two ridiculously large front wheels create the backwards tricycle effect, and it carried a crew of ten soldiers who operated two gun turrets and some machine gun pods. The Bat was a rather bloated beast: designed to be 40 tons and with a top speed of 17km/h, it actually weighed in at 60 tons and could barely reach 8 km/h. As its name would suggest, the behemoth’s development was personally funded by Tsar Nicholas II who was duly impressed by an early prototype, but it failed to live up to expectations; the first battle-ready tank got permanently stuck as soon as its tiny rear wheel hit broken ground and the whole project was abandoned. But that was WWI. Of course there must have been wacky, useless, poorly-designed ideas that were being thrown around left and right. That kind of stuff doesn’t happen in modern militaries, does it? Oh boy, does it! Take the Littoral combat ship, aka the “Warship of the Future.” It was envisioned as an all-in-one naval vehicle that would use interchangeable modules, helicopters, sea drones and missiles to complete missions ranging from ocean surface combat to anti-mine and anti-submarine operations. Five years and $37 billion later, the Navy got…a dud. The modules don’t work, it can’t take so much as a single hit without sinking, and each floating duck clocks in at a striking $440 million. Still, the Littoral is not even the priciest dud in the annals of US military history. The winner of that prize goes to the Air Force’s F-35 Joint Strike Fighter. The F-35 debacle is so legendary it will be taught as the prime example of military stupidity for generations to come. The program was approved in 2007 and already by 2010 things were going very, very wrong. The project was already two and a half years behind schedule at that point and the price per jet had ballooned 50 percent, smashing through a key containment threshold and forcing a thorough overview of the program. In a classic example of the sunken cost fallacy, the DOD doubled down on their insanity and decided the program was now “too big to kill.” $1.5 trillion and multiple, system-critical failures later, the Air Force is pretending not to regret that decision. But for those who fear that the military couldn’t think up anything more insane than attack dolphins, never fear: the government never met an animal it didn’t think could be weaponized! Bat bombs? Yup. Back in WWII the American military thought it would be a good idea to drop bats with time-delay bombs strapped to them on Japanese cities. Up to 1000 bats could be dropped in specially made carriers that would descend softly to the earth with parachutes. The bats would escape and roost in Japanese buildings before blowing up, setting the Japanese wood-constructed cities on fire. In the end the Air Force realized it was much easier to just firebomb the cities directly, leading to one of the worst war crimes in human history including the infamous firebombing of Tokyo that killed nearly 100,000 people in one night. Cat guided missiles? You better believe it. You can’t argue with the project designer’s logic, though. Cats don’t like water, thus they would attempt to guide the missile toward any ships in the area. What could go wrong? Cat lovers shouldn’t worry, though; B.F. Skinner had a much better idea: pigeon guided missiles! So next time you are tempted to think of the government as a fearsome, all-powerful, all-knowing, coolly-calculating controller of world events, just remember: it’s mostly populated by ridiculous, incompetent, half-sane, bumbling morons. This may not be good news, but it’s at least somewhat more heartening than the idea that they are all evil geniuses. And hey, if we can’t laugh at them what can we do? 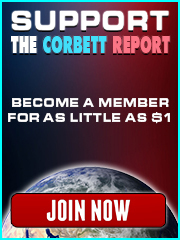 This piece first appeared in The Corbett Report Subscriber newsletter in 2015. 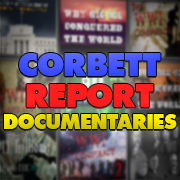 To keep up to date with the newsletter, and to support The Corbett Report, please subscribe today. I criticized one of the last humour shorts so it’s only fair that I praise this one because this is a FUNTASTIC EPISODE! More! MOAR!!! I am willing to study quails high on cocaine. Send donations now. The quails will remain safe and sober. We know how ridiculous the military spending budgets are, but what is the real value? I’ll sell you a hammer for a million bucks with a contract to only buy my nails. Capitalism is sooo efficient. I am willing to study dolphins high on LSD and ketamine. Send donations now. The dolphins will remain safe and sober. I am willing to study dolphins high on LSD and ketamine. The dolphins will remain safe and sober. I’ll channel the spirit of John C. Lilly and ask him about the CIA while I’m at it. Brilliant! I was laughing and grinning up and down, sideways and all about. Dang! This ole Corbett guy is FAST on the draw. I swear he moves like a rocket with creativity. I want more of this type of series. My commendation to Broc for whipping this video out so quickly with incredible humor attached! That was dynamite! Like IgNobel! hardiharharharharhaaaarrrrrrrrrrrrrrrr! James Corbett has a “CROWD SOURCE” thread for members who have ideas about this type of video Truth Bomb marketing. The two are so tightly wound together that I don’t see the reason to draw the distinction. Colin, Good Idea. Put your idea in the CROWD SOURCE link. What an eery coincidence that you mention corporate stupidity when today I came across something I should have heard about long before this. It seems I must live under a rock from time to time, and only learn of some ideas (factual ones, as well as those from innuendo, or patently false) waaaay later. The subject in question concerns a synthetic bacterium, named Cynthia or Synthia, that was rapidly pushed into production (i.e. no rigorous testing) to contain the 2010 Deepwater Horizon oil spill by having the capability to break down – eat – oil. Search results for Cynthia/Synthia are very meagre. It’s been suggested that there’s massive suppression of this subject. Real? Hoax? Has anyone got more information? OMG. There are tears in my eyes from the dolphin jihadist picture. Please tell me you did that picture. It was so bad it was PERFECT…!!! Seriously. This made me slap my knee more than once. The audio side of it was perfect, too! Da-da-daaa! I wrote and researched the script but all the glory for the hilarious visuals and music goes to Broc West. He really knocked this one out of the park. I think practically all people in your forums by now know who is doing the audio-visual magic for your research presentations. As a late praise to “WHY…”: All the heavy stuff going on – for nearly two hours also – was made bearable by Mr. West. I watched it in chapters, though, because it was too much to take in at once. It is not PEOPLE in government that are bumbling idiots, as you say. It is the SYSTEM of government that breeds waste, fraud, and abuse because of how it is set up, how it is funded, and how it operates. People simply take adavtange of working in the system because it’s there. I really like how this video reflects the mind numbing “x most” videos trash TV and trash youtube channels alike are overflown with. The caveat is that those trashy graphics were so trashy that they were actually excellent. Ed Wood would have been proud. To be honest, though, I don’t think those big military failures are actual failures. Were they successful and efficient, that would be deemed as a failure by the people who laugh all the way to the bank every time the government refinances their insanity. I’m absolutely astounded by the number of YouTube channels that have 1000s of subscribers to watch some lame people REACT to music they have supposedly never heard before (yeah, right). This society is circling the toilet bowl. Youtube enables people whom have nothing to contribute to have an audience of millions by simply catering to the lowest common denominator. It’s brilliant, what it is. As I’ve mentioned before, we always need a bit of levity in dealing with the realities. I vote for the clip that features Killary’s laugh. She has a great future in comedy. But her laugh? Nope – not even usable for the laugh track in sitcoms because you can clearly identify her. How about Solar FREAKIN’ Roadways? Although strictly speaking, not a fully a government idea as it was both funded by private crowd sourced stupid as well as government stupid. WiseWoman: Three cunning plans to cure thy ailment. WiseWoman: – The first is simple. – Kill Bob! WiseWoman: Then try the second…. Kill yourself! WiseWoman: The third is to ensure that no one else ever knows. Blackadder: That sounds more like it… How? So, the main problem is Government want you to “Do as they Say and Not As they Do”, which can only last so much before people say enough is enough. There they created a lengthy process to discourage the victims – and if they do actually reach a monetary agreement (to not have to go public in a trial and become victimized a third time) they get paid out with TAXPAYER money! Isn’t that great? For the rapists it certainly is! And of course this was well known in Washington and only now sees the light that the great “swamp draining” is in process – which incidentally mostly only happens to lower level democrats and their donors. Go figure! The link in #5 to The Reduce America’s Debt Now Act of 2011 is broken. Perhaps someone in government saw your video and, after the face-flush sensations subsided, instructed that garden shears be broken out of the closet. This piece first appeared in The Corbett Report Subscriber newsletter in 2015. As that 2015 piece was posted before I came to this site and became a subscriber, I dutifully went and read both the piece and its comments. Some of those comments were very, very good. Over the years, I have tested dowsing with approximately 100 random people. Only two people failed to be able to affect the dowsing rods, both of which had compromised skin on their hands. One guy had some kind of chemically burned hands which were cracker dry, and the other had extremely withered-skin dry hands. Ha! One time I even grabbed about 10 young elementary students, blindfolded them, and had then walk forward towards a bucket of water. When they approached the bucket, the dowsing rods went into action. Here is a short video (under 6 minutes) from 10 years ago. The last guy is one of my grandsons. The Texas A&M Commerce Campus is about 2,000 acres with a huge network of underground piping. Many buildings have been also been heated with a water system. At voluntarily paid taxes I immediately thought of the british royals, which do exactly that. Pay their taxes voluntarily. Apart from the millions of pounds with which every year royal estate is payed for. Military dolphin research actually had a minor unknown positive side-effect. Discovered we can hear, or maybe better articulated, process audio material via skin/bones and then the ear canal. A real petty kosys still is only available in German as a website. If you can understand German, you might check them out. Fascinating stuff.